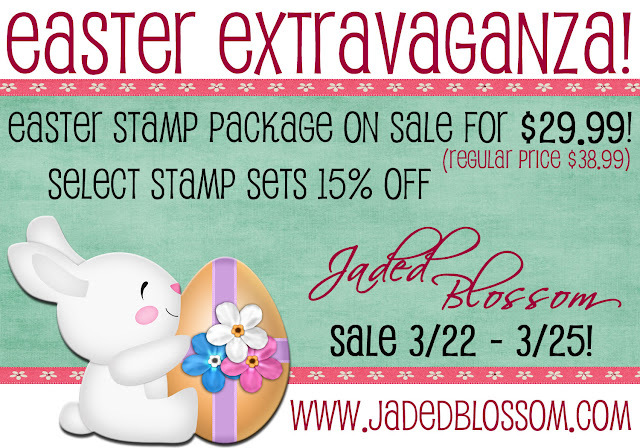 Jaded Blossom: Announcing... Easter Extravaganza Sale!! That is so cute. 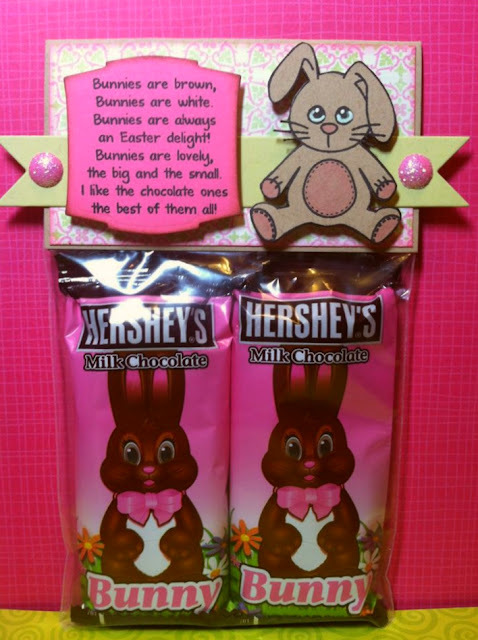 It is almost too cute to open but I am a sucker for chocolate so it would have to get opened. Love it. so Cute. 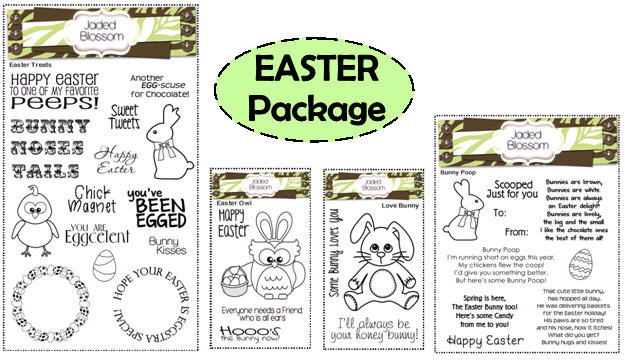 Love this treat bag and the stamps you used on them. Oh my goodness!!! I LOVE your new stamps!!! The owl with the bunny ears stole my heart!!! 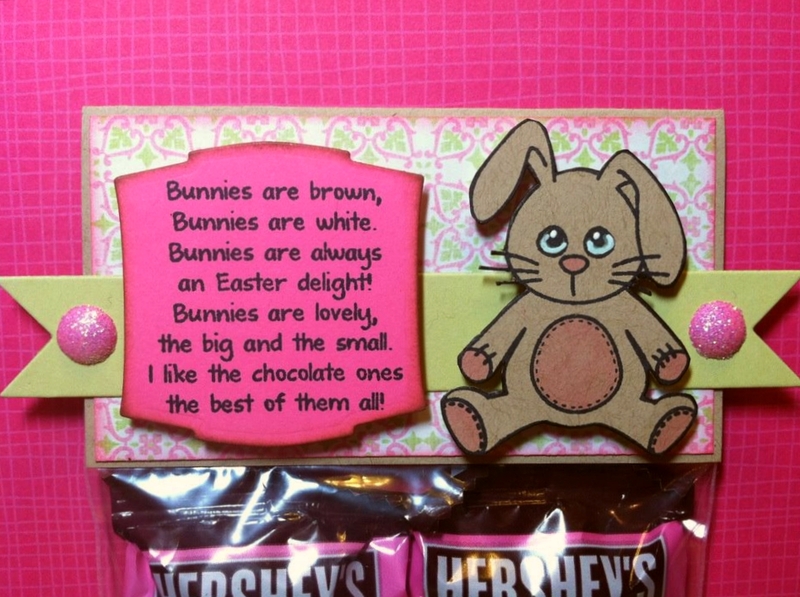 <3 Thank you so much for the sweet comment on my blog! Scrappin With the Bug sent me! Loven' your stamps!